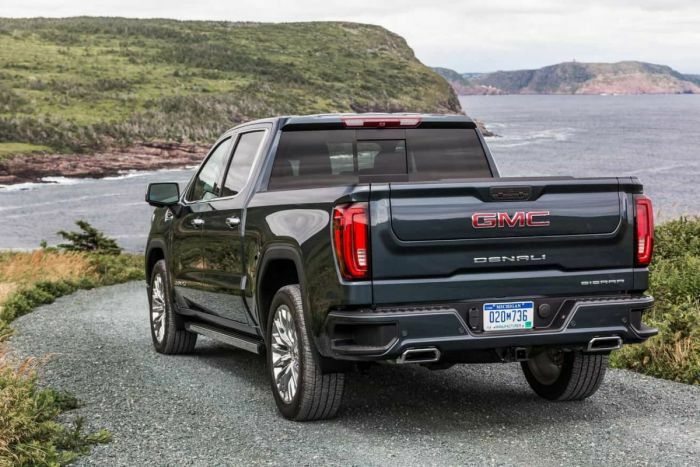 The 2019 GMC Sierra Denalis are just arriving at dealers now and its tailgate within a tailgate is designed to set it apart from the competition. The pickup truck wars are raging, with each different brand trying to find ways to set their vehicles apart from the rest. Ram is improving and refining its interiors, Chevy is introducing a small but powerful fuel efficient engine and GMC is introducing its 2019 GMC Sierra Denali with an all-new tailgate design.